The Netherlands has been a sea faring nation dating back to the 15th century. Over time this has grown into a shipbuilding tradition. Gathering centuries worth of knowledge and experience culminating in a specialization for top range yachts building. It’s no coincidence that the term ‘yacht’ originates from the Dutch word ‘jacht’ which means ‘to hunt’ indicating a fast ship. Also, Holland but more specifically Friesland are often referred to as ‘Yacht Valley’. Often, the yacht building tradition was handed over from father to son. This is no different in at Lotronics where true craftsmanship is taught and inherited and is at the center of our organization. As our organization has built extensive experience and its reputation and in the luxury and superyacht industry specialized in both custom building and refitting, applying the best quality for sustainable solutions. While its wonderful being a yacht owner while possibly even enjoying a yachting lifestyle, one of the biggest annoyances remains the seemingly continuous maintenance of a yacht. Not only costly, but also a source of headaches. Lotronics strives for and succeeds in minimizes reoccurring failures by embracing the philosophy of simplicity with a sustainable and durable solution. Based on our extensive experience in the superyacht industry we are in a unique position to deliver proven technology, quality components and our expertise against a competitive price. 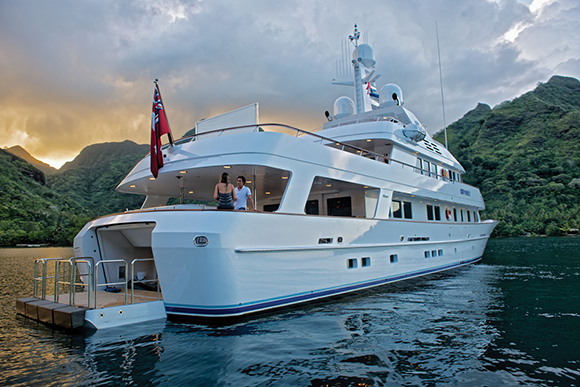 Lotronics is the technical building partner in the luxury yacht market. Our yard’s expertise is specialized in pioneering in unique innovative projects and technical solutions. Through our genuine passion, dedication, craftsmanship and creativity, we realize our customer’s dream into a piece of art in all its essence. Each and every one at Lotronics is a boating, yachting and sailing enthusiast. This enables us to fully understand our customers and to take a holistic approach while creating sustainable solutions. As we genuinely work with our passion; technology on yachts, we have made this our motto. We stand behind our products and services and always strive for the best suitable solution to realize the clients dreams and desires. Lotronics is a fast growing organization and is continuously looking for talented professionals. Contact us to inquire about the current job opportunities to join our team.